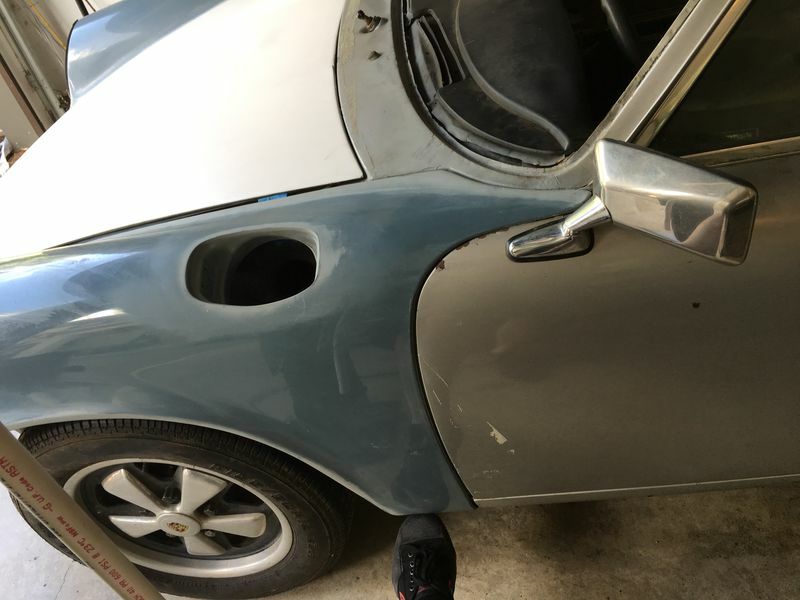 I have an expensive piece of fiberglass molding on a Porsche project I’m trying to complete and it seems to be slightly warped. I can’t really afford to replace it and I’m not sure the replacement would be any better anyway. I’m thinking I need to heat it and then force it to take a set in the new slightly twisted (from where it is now) state. What sort of temp would you recommend for it not to creep back. Once in place, it will be bolted, but think I need to get the twist out of it first. I have a temp controlled hot air gun, but to compound matters, two moldings meet and are bonded at this point (probably the cause of the twist). Any suggestions or advice very warmly welcomed! ...and yes, I’m still working on the panel gaps! Last edited by MunkyKing; 07-31-2018 at 07:33 PM. I’m guessing it’s the back of the panel I would put the grooves in? I believe CARBUILDER is spot on, I have had success with using a torpedo heater to heat large areas evenly, then set the panel in the final shape to cool....only problem is it's summer! I’ve been wondering what sort of temperature that takes and whether it would creep back over time. I once saw someone reshape a hood cover using a torpedo heater and wondered if it might warp back on a hot day in the sun. They were pretty reputable guys though, so wondered if that way might be credible.